For over 100 years, BBB has helped people make smarter decisions and is evolving to meet fast changing marketplace needs. BBB sets standards for ethical business behavior and monitors compliance. Almost 400,000 Accredited Businesses meet and commit to these high standards. 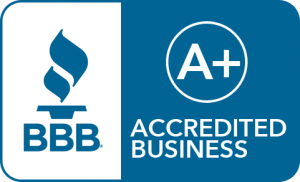 BBB helps consumers identify trustworthy businesses, and those that aren't, through more than 4 million BBB Business Reviews. BBB sets standards for and evaluates thousands of advertisements each year to ensure that people can trust what advertisers say. BBB sets standards for and evaluates the practices of thousands of charities so that donors know where their money is going. BBB coaches businesses on ethical behavior and how to build stronger, more trusting relationships with their customers. HomeAid Northern Virginia recognized NV Waterproofing for their outstanding commitment to aiding the homeless. NV Waterproofing is a proud supporter of Joe Gibbs' Youth for Tomorrow. This organization helps sexually abused women. We are a part of the Home Builders Association of Virginia.